Opera singer Renata Tebaldi was born on this day in 1922 in Pesaro. Said by the conductor Arturo Toscanini to possess ‘the voice of an angel’, Tebaldi had a long stage career and made numerous recordings. Her parents had separated before her birth and she grew up in the home of her maternal grandparents in Langhirano in the province of Parma in Emilia-Romagna. 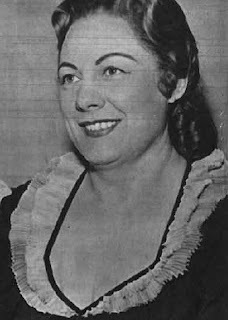 Tebaldi was stricken with polio at the age of three but later became interested in music and sang in the church choir. She was sent to have piano lessons but the teacher decided she should study singing instead and arranged for her to attend the conservatory in Parma. She later transferred to Liceo Musicale Rossini in Pesaro. Tebaldi made her stage debut in 1944, while Italy was still at war, in Arrigo Boito’s Mefistofele at the Teatro Sociale in Rovigo but her beautiful voice first began to attract attention in 1946 when she appeared as Desdemona in Giuseppe Verdi’s Otello in Trieste. She auditioned for Toscanini who was immediately impressed by her and she made her debut at Teatro alla Scala in 1946 singing in a concert to mark the reopening of the theatre after the Second World War. The following year, she played her first operatic role - Eva in Wagner’s Die Meistersinger von Nürnberg - at the same opera house. Toscanini encouraged her to learn to sing the part of Aida and to rehearse in his own studio. She made her debut in the role at La Scala in 1950 alongside Mario Del Monaco, which helped launch her international career. In 1950 Maria Callas was taken on at La Scala as a substitute Aida when Tebaldi was indisposed. There were rumours of rivalry between them for the rest of their careers although Tebaldi considered herself to be a lyric soprano and Callas considered herself to be a dramatic coloratura soprano. Nonetheless, partly for the sake of peace, Tebaldi decided to spend a lot of time in the United States. 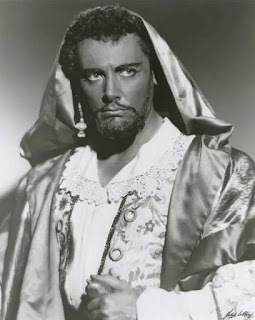 She made her debut at the Metropolitan Opera in New York in 1955, where she sang regularly until her last appearance in 1973, signing off as she had begun with a performance as Desdemona in Otello. 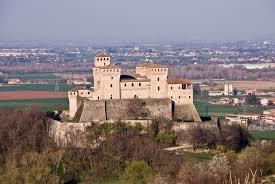 She retired from singing completely in 1976 and died at the age of 82 at her home in San Marino. A small museum dedicated to Tebaldi has been opened in the stables of the Villa Pallavicino in Busseto - Verdi's home town - which is also the home of the National Giuseppe Verdi Museum. Among the exhibits are many costumes and mementoes from her personal life, including letters from John F Kennedy and Rudy Giuliani, the former Mayor of New York. 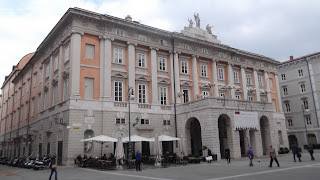 Teatro Lirico Giuseppe Verdi in Trieste, where Tebaldi had her first big stage success, was built to replace a smaller theatre and inaugurated as Teatro Nuovo in 1801. 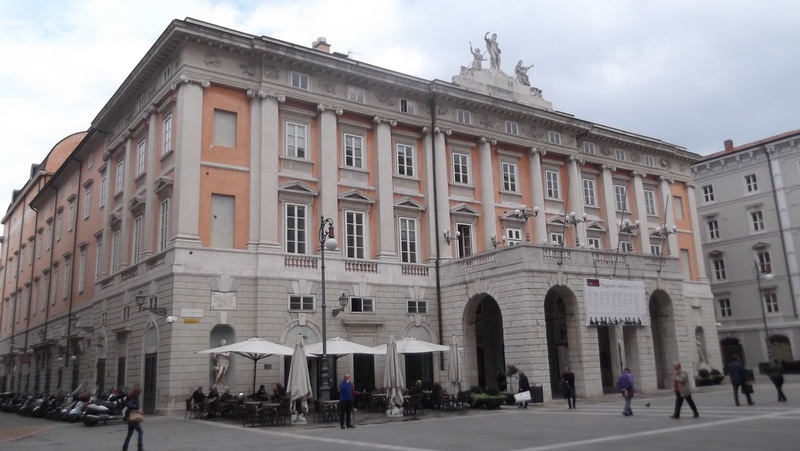 It was the site of the premiere of Verdi’s opera Il Corsaro in 1848 featuring soprano Giuseppina Strepponi, who Verdi later married. Within hours of Verdi’s death in 1901 the theatre had been renamed in honour of the composer. Langhirano, Renata Tebaldi’s home town, is situated about about 90km (56 miles) west of Bologna and about 20km (12 miles) south of Parma in Emilia-Romagna. It is known for the big 15th century Castle of Torrechiara, perched on high ground overlooking a valley, where a music festival dedicated to Renata Tebaldi is held each summer. Although Tebaldi died in San Marino, she was buried at Langhirano Cemetery.